A reliable, all-round, fully-adjustable men’s harness with uncompromising comfort for all alpine activities throughout the year. The Rock M is a reliable, all-round, fully-adjustable harness with uncompromising comfort that covers all alpine activities throughout the year. Featuring our variable-width webbing with narrower sections at the buckles in order to save weight and wider sections at high pressure areas for unparalleled comfort. 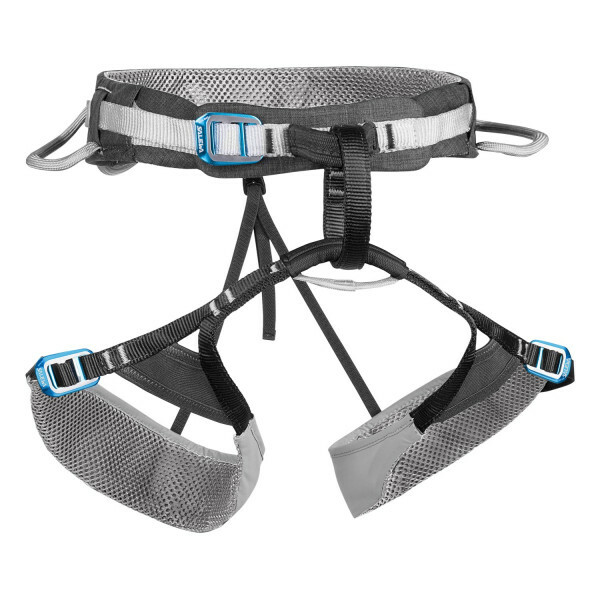 In addition, the SALEWA Evobelt design combines the flexibility of a floating waist belt with comfortable, breathable 3D mesh fixed padding to ensure that your harness and its (four) gear loops remain correctly centred. With lightweight aluminium and stainless steel 90SafX buckles at the waist belt and leg loops for full adjustability. The rear gear loops are softer to allow you to climb comfortably when carrying a pack.